Is it a Garden Lounger......a Steamer Chair.... a Recliner ? Call this lovely chair what you will. 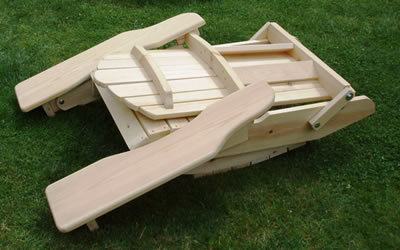 We simply know it is another unique, hand made member of our so, so comfortable Adirondack family. 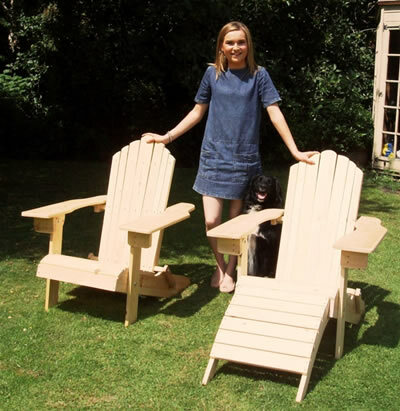 Daisy and Mungo proudly showing off our folding Adirondacks. We’re so chuffed with these hand crafted, unique chairs! 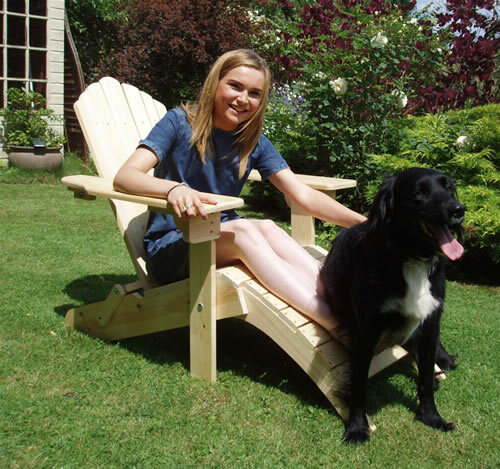 Easy Peasy, so comfortable – or would be if Mungo didn’t like it too! You know our handmade Adirondack Family, like most families, keeps expanding. Well, this time it’s grown longer too ! 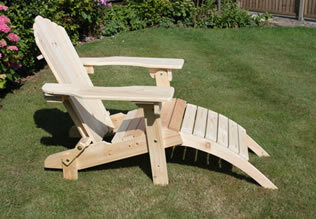 The folding lounger, as with all our chairs and rakes, is hand crafted from FSC certified wood, in this case pine. We asked Terry to come up with a folding steamer chair design in case you wanted to easily pop it away. 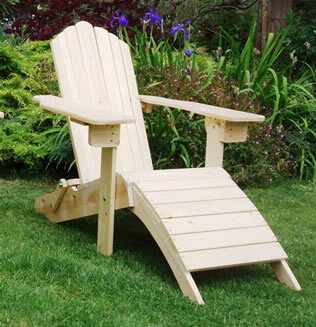 Though like all our Adirondacks your lounger comes with Lifetime Wood Treatment so you can leave it out in all weathers if you wanted to. We’ve told you your lounger (although I quite like ‘Reclining Steamer Chair) weighs around 19 kg but here are the rest of its vital statistics. However, as your chair is completely handmade, measurements may vary a smidgin. Your ‘Reclining Steamer Chair’ will be completely unique to you! 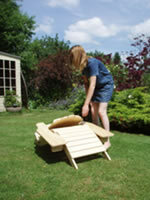 We can also make your ‘Steamer’ chair with a raised seat.